With next update already being rolled out, I updated the list to reflect the features already added. Now I'll focus in the touch-and-go UI experience and the desktop version. Minor stability update (1.0.1054) rolling out through Play Store. A few visual improvements for next technical update in mid January. 1.0.1061 is rolling out. It'll reach you in the next 24h (Android) or few days (iOS). Next stop: desktop version. It's a lot of UI work, so not easy to estimate. I intended 1.0.1061 to be the "stable" update after the Mage, which would last a couple months. But after analizing things, I decided to focus on cleaning code for another week, and resolving some long-standing issues in the game. 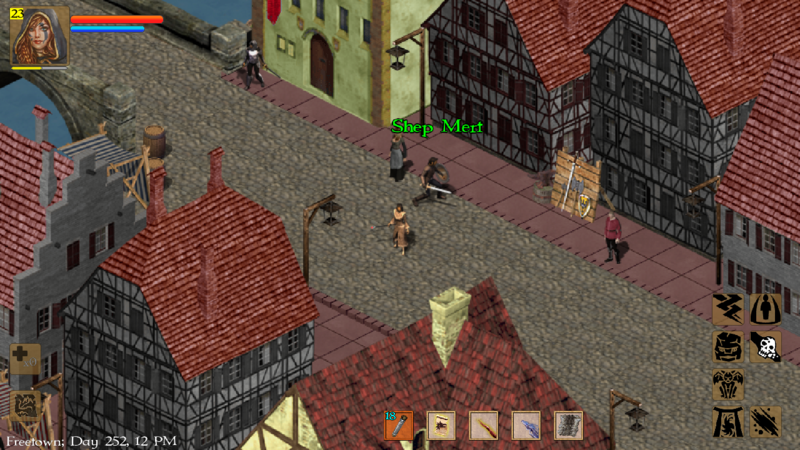 Some devices experience annoying lag spikes when the journal is updated, when the player dies or when they level up. I fixed this problem already. When grates/traps/bridges are activated in groups, the "clang" sound is played repeteadly. Same with moving stacks. I fixed it for next update. Mage is bug-free, but I'm going to give a little boost to Wand Mastery and improve Orbs and other offhand items. they're supposed to be the "survivability" development path for the mage, so I think they should increase HP in a noticeable way. Lesser Orbs will grant 15hp, for instance (but no mana). Many will also grant detection, as traps are the bane of many mages. Precision Shots will be available for Mages. Bloodlust will not (is melee only). EDIT: and after playing myself two mages this week, I'll adjust the drops for mage in low-mid levels as they have a harder time than I thought at getting wand/staff drops. That's all for now, back to work. The last week I've been working nonstop on the desktop version. This involves a lot of work with UI & Fonts, which is probably the less fun part of my job, unfortunately. But it is coming along, and faster than expected. There's still a million little things to do before release, but it should definitely happen sometime this February. I'll post more information and details soon. Because not everything is about PC, next update will get some improvements for mobile users as well! Today I've been working on a "input buffer" for the Skill Buttons. Currently if you tap on a skill in the middle of performing another action (i.e, attacking), the skill "call" is not registered. When the buffer is completed, the skill "call" will be queued and happen after your current action concludes. this should make combat skills much more efficient! Assuming I manage to have it working, that is, as it's still a bit buggy. And my checklist for PC release is still huge, but there are a few upgrades like this one that I didn't want to miss. 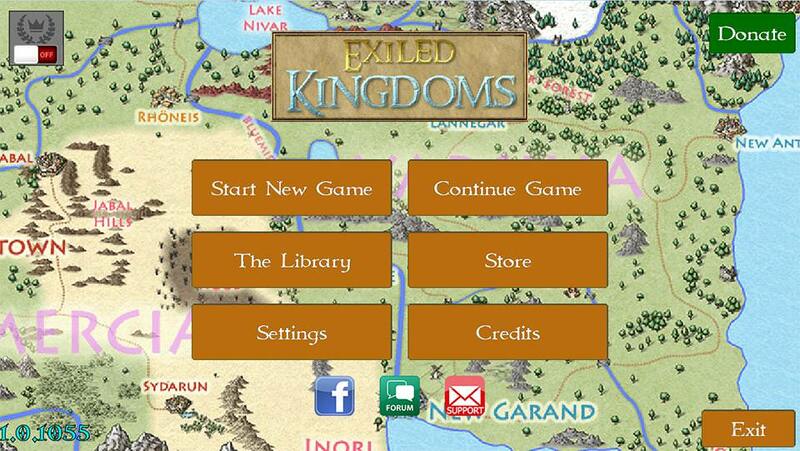 With today's release in both mobile and PC (Steam), Exiled Kingdoms has reached version 1.1. A few things got postponed, but I am very happy with the addition of Thuram, the Mage class (and how fun and balanced it seems to be thanks to the testers), and the PC version of the game. It's also noteworthy how the translation team worked like beasts these last months to bring the joy of the game to thousands of new fans. I'll never thank them enough for this; it's very satisfying to see your work published in other languages, and it certainly is a big plus for the financial success of the game in the years to come. 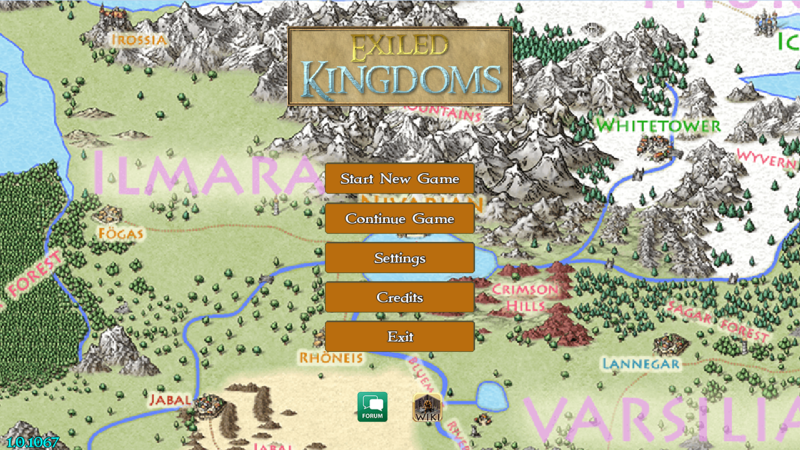 A few features got postponed, but many other unlisted things were added, like the improved fonts or new world map, input improvements, etc. In March I'll open a new thread on what to expect for version 1.2+, but I can safely say there will be at least one more content update to the game this year. Post subject: Version 1.1. is complete! Edited first post as the development of version 1.1 is now complete. I will make a new post soon listing the planned features for version 1.2.